An Indiana man passed away from a farm-related accident. He was using a skid-steer to clear debris on his property while he crashed down a steep ravine. 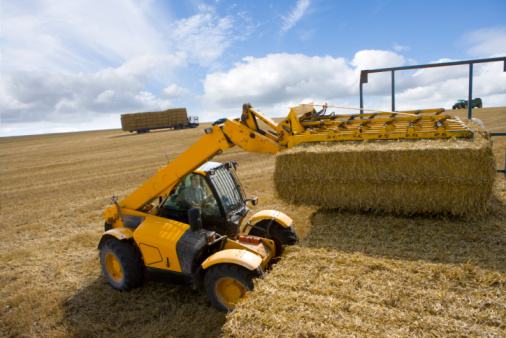 Hazards associated with skid-steer loaders are similar to those faced by tractor operators. A skid steer loader is a type of compact tractor that has a wide, pronged “bucket” on the front used to move loose materials, such as piles of dirt, sand or gravel, from ground level and deposit them elsewhere. According to the National Safety Council, the risks of operating skid steer loaders are about as high as those that tractor drivers face. However, skid steer loaders have features that can expose to additional risks. These features include wheels that lock on each side. These enable the loader to turn quickly and in small spaces. Because skid steer loaders are heavy, however, locking their wheels and maneuvering in small areas can easily tip them over. Since diesel engines power the machine, they are also noisy and emit exhaust fumes, endangering ’ hearing and respiratory health. A skid steer loader accident doesn’t mean it is your fault. Injuries sustained as a result of working with skid steer loaders are rarely caused by farm who use them. Even if you think you might be partially at fault, you may still be eligible for compensation. Again, that’s because you don’t have to misuse a skid steer loader for it to malfunction. Unsafe manufacture designs’ cause skid steer loader accidents. Plus, manufacturers neglect to warn you of all the ways their heavy machine can injure you. No matter how many safety precautions you take, you need to remember that skid steer loaders are not designed safely, and when you’re injured by one, it is the equipment, not you, that is considered “defective”−a term that applies to a product’s poor design, improper manufacturing, lack of safety warning, or all three. That means: You are not at fault, and you deserve compensation! If you are an injured farm worker, if one of your family members has been injured or died driving a skid steer loader, or if you have lost wages due to skid steer injury, you may be entitled to compensation−including payments over and above Worker’s Compensation. Manufacturers who design and distribute unsafe machinery should pay you for the losses you suffer due to using their products. You deserve compensation.